1. 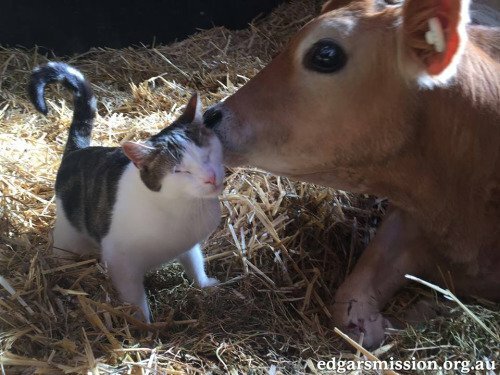 Love between a cat and a cow and between two superb cats! 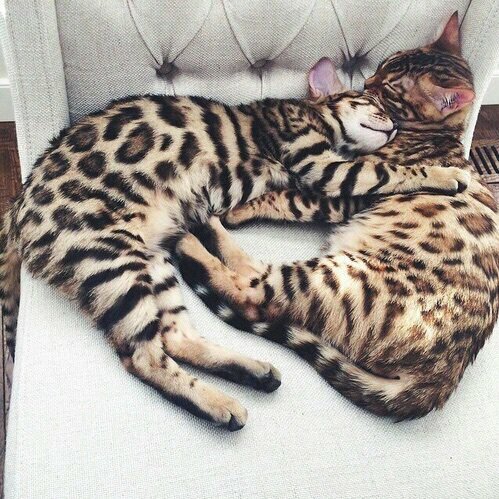 Because there isn't enough love and because every moment should be fevourable to cuddle, here is a gallery of 22 photos of animals who are cuddling each other and that will make you want to do so and spread the love! Don't wait no more and grab the person next to you for a big hug!